If you’re a local player in my campaigns, you might want to steer clear here. You don’t want to spoil it for yourself. Let me get some of the flaws of this series out of the way first. The PCs are hired to rescue someone who has been kidnapped. The person they rescue is virtually unimportant, They could become an ongoing NPC should your adventure continue to take place in Waterdeep after the first book. But the other kidnap victim turns out to be the estranged son of a former Open Lord of Waterdeep who embezzled a bunch of money and hid it in a magical vault. The PCs are rewarded with the deed to an abandoned tavern. The party can decide to do some side quests wile turning it into the base of operations and the adventure could have a large time skip here if the DM wanted to. 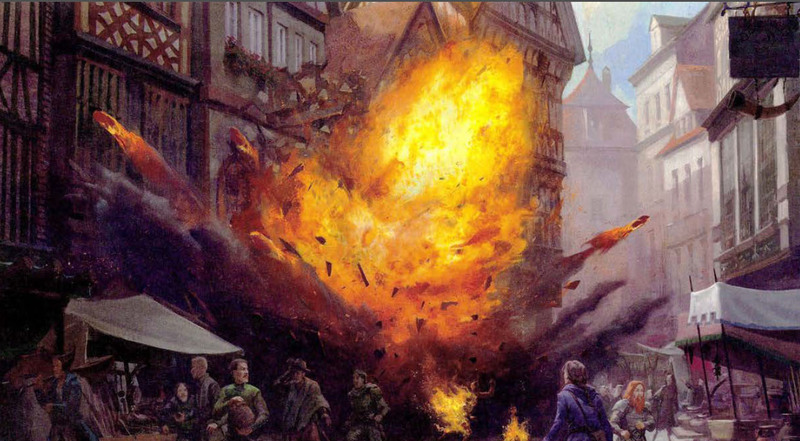 After a while, a huge fireball goes off and kills a bunch of people just outside the tavern. Investigating the explosion will lead the PCs to discover that some bad guys have stolen a magic item (the Stone of Golorr) that will lead them to the magical vault. A Benny Hill chase sequence ensues, at the end of which the PCs have the Stone of Golorr. Weather its sneaking into a base and one of the gangs hide outs or intercepting it wile its being moved. They go to the vault and loot it. Things that Make little sense or you may even find confusing. Dalakhar is a spy who works for Lord Neverember. He has stolen the Stone of Golorr that leads to the vault, but is unable to leave Waterdeep and take the magic artifact to Lord Neverember because Zhent assassins are stalking him. He goes to members of Lord Neverember’s estranged son’s household and asks them to tell him where he can find the heroes who rescued the estranged son because he believes that anyone who would rescue Lord Neverember’s son can also be trusted to help him. So then Dalakhar gets killed in the fireball that explodes outside of the PCs’ tavern. Where did the fireball come from? Well, Zhent assassins working with House Gralhund had successfully tracked him down. House Gralhund didn’t fully trust the Zhent assassins, however, and so sent their own agent to follow them and make sure the job got done right. “When it seemed as though Dalakhar might give [the Zhent assassins] the slip, this agent hurled one of the beads from the necklace [of fireballs] to stop the gnome in his tracks.” The Gralhund agent was so concerned that Dalakhar had escaped the Zhent asssassins – even though they were mere feet away from snatching him – that it decided to blow up an entire city block? FRAGILE STRUCTURE- there is a double edged sword that a GM can walk with this one; run it strait from the book or add your own spice and flair. Okay, Dalakhar and a bunch of other people have been blown up. So the PCs start investigating the explosion… But… why? There’s literally no reason given. (its not hard to fix this I added a NPC from earlier in the game to the injured people in the street.) The PCs are given no motivation to do so when running the book strait, and, in fact, the book goes out of its way to discourage the party from getting involved. But, okay, the PCs start investigating the explosion. This investigation can follow one of two paths. One option: Break into the morgue and use speak with dead spells. (This option is fine, if a little thin.) Second Option: Hit the streets and start asking questions. This investigating feels paper-thin but I had a lot of fun spicing this up with lots of great Role Play opportunity’s. Personally, I encourage you if your going to run this be prepared to add some stuff that was never in the book stretch your imagination, and add your own splash of color to the story. Fortunately, If this structure inevitably fails, the book does suggest that the GM just have an NPC randomly come by and tell the PCs where to go. A bit of a copout but this is why I suggest being prepared to add something like a gang member defecting and helping the party or something it doesn’t have to be a lot to stitch the story back together. One of the biggest problems the book has it contains a “thou shalt not find this unless you jump through my very specific hoop” bit. If you miss a pad of papers in someone’s pocket ( and the party doesn’t already have the stone.) game over no more heist. Its that blunt. Dalakhar steals the Stone of Golorr from Xanathar. This triggers a gang war between the Zhentarim and Xanathar which has been going on for awhile when the PCs undertake their first mission. At the end of that mission, the PCs are rewarded with an abandoned tavern. A period of at least several weeks now passes during which the PCs are assumed to be fixing up the tavern, joining various factions, doing missions for those factions, and advancing 1-2 more levels. Dalakhar, unable to get out of Waterdeep with the Stone, attempts to bring it to the PCs. PICK A VILLAIN- I found this to be a great addition to the game but some villains felt a bit plain. After having run this game several times and played in it just as much I find that most villains fit different DM’ing styles. Dragon Heist comes in 4 flavors: It has four different villains. This decision also determines what season the campaign takes place (spring, summer, autumn, or winter). 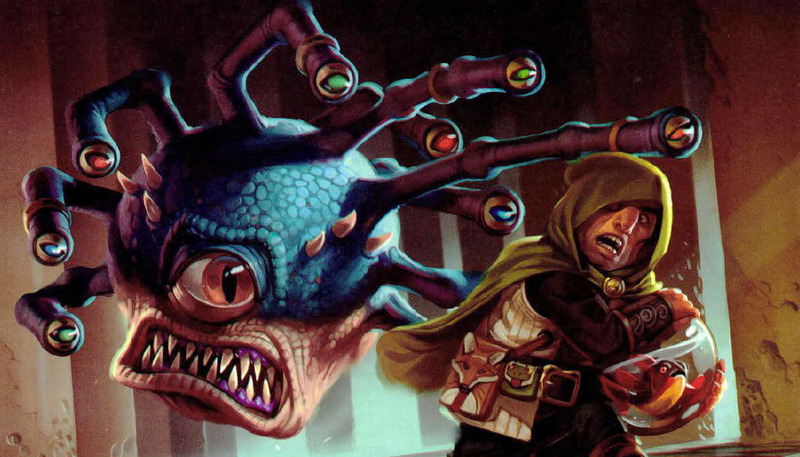 With one exception there is no actual connection between the villain and the time of year, but it does provide an interesting vehicle for emphasizing to the GM how the setting of Waterdeep changes over the course of a year. It also lets you show your players that the city is alive with different festivals and holidays. It’s their minions who track the PCs to the vault (even though they generally have no way of doing that) and fight them as they attempt to leave. Each of them has a unique and elaborately detailed lair. So, roughly speaking, at least three-quarters of the adventure is can be unaffected by the choice of villain. In most of the chase sequences the GM is instructed to not once, but TWICE use the chase rules from the DMG and then, as soon as the PCs succeed at the chase, pull the, “Ha ha!” moment. Not the best but its easily fixed with a bit of Role Play. THE LAIRS: Dragon Heist spends a little over 60 pages describing each of the villains’ lairs in lavish detail. Here a strong and unique spotlight is shone on each of the villains. Great care was clearly put into its construction. Enormous effort was put into making this book, its definitely a book that new GM’s and experienced GM’s can run but you cant just start on game night you will need to prepare for this one. So here’s the big question: Do I recommend Dragon Heist? I came to Dragon Heist because I wanted something that I could basically run out of the box. I could technically run it as written, but I highly recommend reading over the material given and being prepared to add your own spice to it. In short yes. In short, there’s a solid foundation here and a lot of good raw material to work with. You can definitely use this book as a supplement for making your own Waterdeep campaign or quest line. At the time of this Review, I have little experience with Mad Mage so I apologize this will be muc briefer and to the point compared to Dragon heist. Dungeon of the Mad Mage is dense, 23 levels in. It clocks in at over 300 pages, beating most recent D&D books by over 50 pages. It has only seven pages of bestiary and no other appendices (such as a section of custom treasure so you may want to pick up some magic item cards or some monster cards before embarking on this book to help reduce clutter on the table when running this book. ), so almost all of that is the dungeon itself, with page count for things like monsters faced farmed out back to the Monster Manual. So expect to run into a lot of variations of the archmage. There’s also no ‘boxed’ text in the book – no big descriptions to read when the players enter a room, no speeches ready for NPCs to uncork. The information that’s needed to give those descriptions and make those speeches is there – it’s just not broken out, which would take up more space. So for this I would highly recommend planning out game night running strait from the book is possible but a little planning go’s a long way. Besides the Mad Mage himself there isn’t a lot that binds this beast of and adventure together, most floors are self contained and there are random encounters but for the most part the floors will not interact with one another. All in all with what little experience I have with this book I would highly recommend it just make sure your party is aware this book isn’t a page turner, it definitely takes a lot of time to Finnish but is more then worth playing.